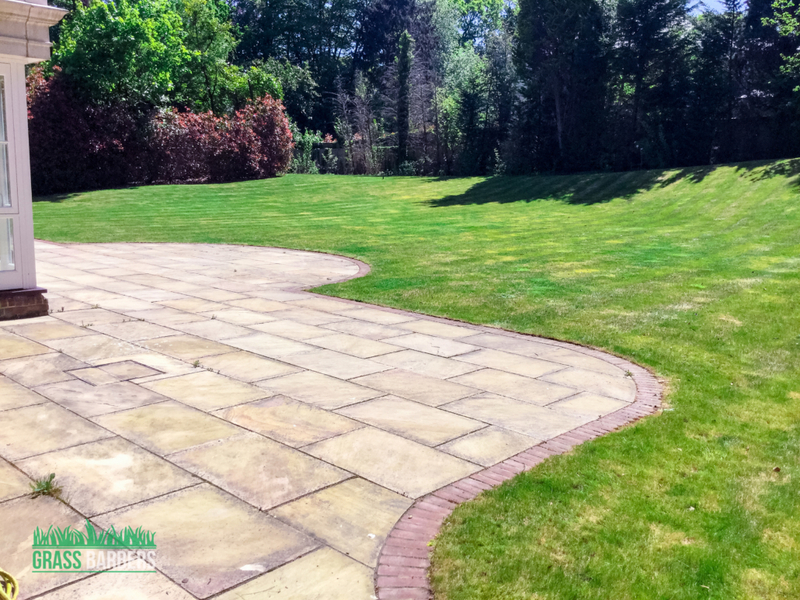 Grass Barbers residential team carried out reactive garden maintenance visit. 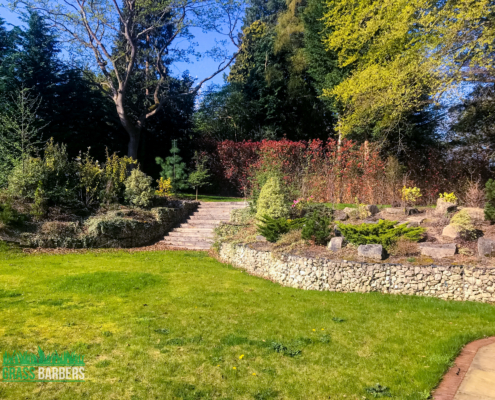 Owner of this beautiful large garden agreed that gardening might be out of his interest at the moment, the look of lawns and garden confirmed that! Leafs, weeds, dead plants, overgrown shrubs and hedges. 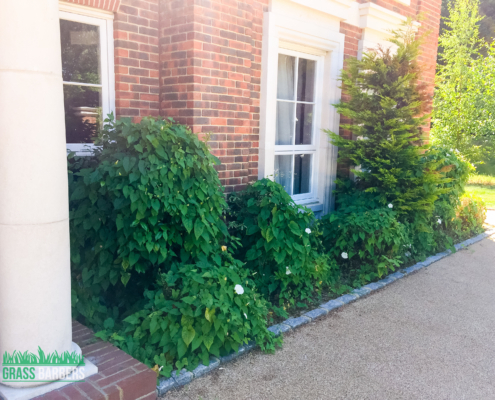 Our experienced gardeners decided to start maintenance work at the most exposed front garden areas. Using powerful leaf blower we had to clear all the leaves, which were piled under the hedges, as well as shrubs and fence lines. To do as much work as we can during the tight four maintenance hour visit gardeners blew all the leaves into grass areas and picked them up using commercial TORO lawnmower. 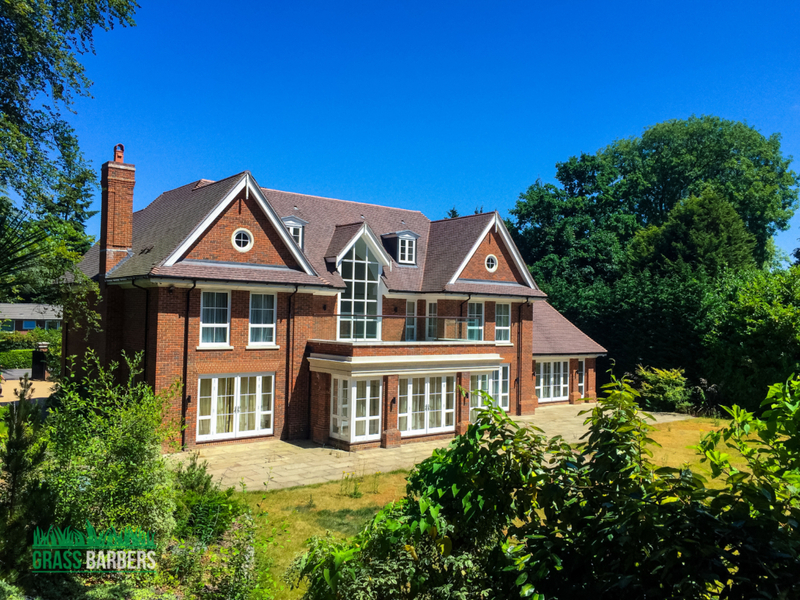 Some of the lawn areas were so overgrown that we had to do four cuts, using different cutting heights. It was a tricky site due to slopes and banks around the garden. 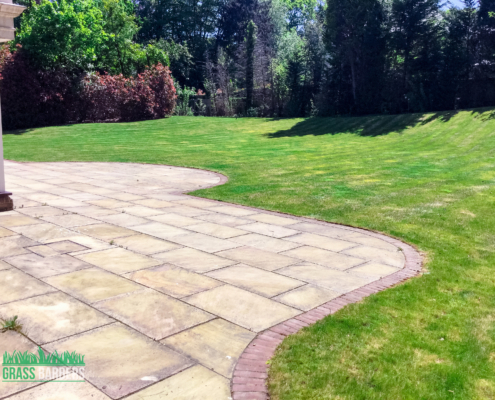 Experienced strimmer operator made an impressive improvement to grass on slopes by strimming and raking grass clippings. 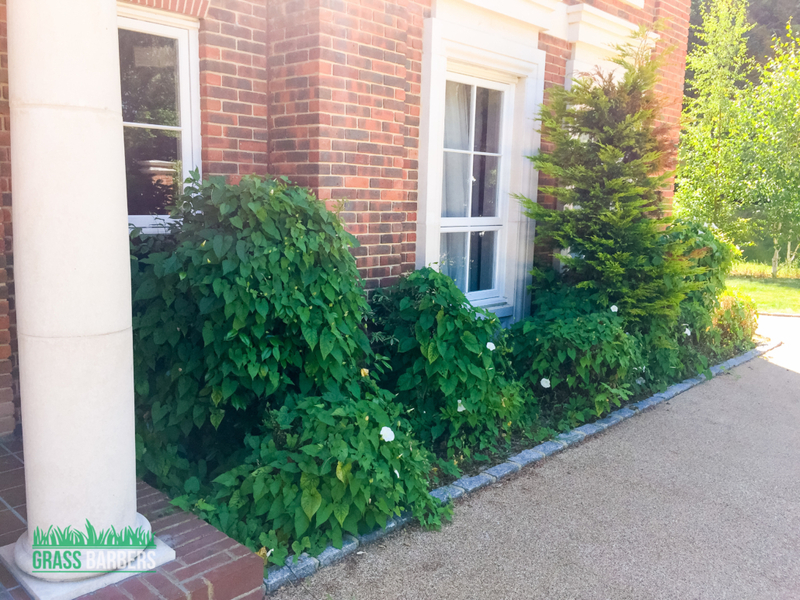 Most of the flower beds across the garden looked tired and had not seen any maintenance work for a long time. Using hand tools, hoes, rakes and spades we removed as much of weed material as we could, including root systems of lousy bindweed, which was killing existing vegetation and flowers. Many plants needed careful pruning, feeding and watering. 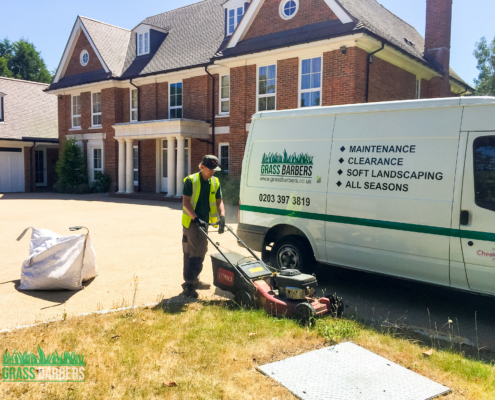 Even though this was a large garden, we preferred to use a push mower, which provided the best possible cut and prepared lawn areas for planned treatment works to target weeds, moss and drying grass. 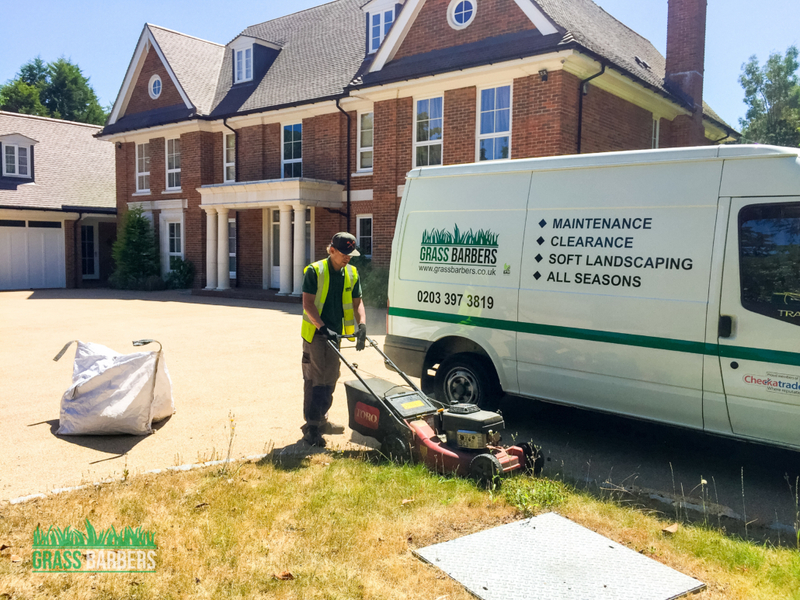 Our powerful commercial lawnmowers served us well, cutting long grass and self-propelling machine through those stretchy back garden areas. 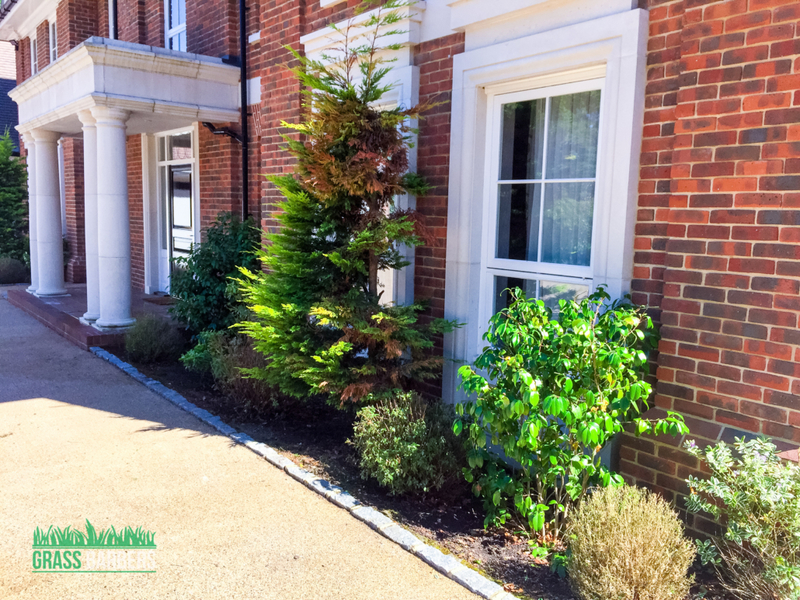 A residential garden is surrounded by Laurel, Photinia and Leylandii hedges, providing privacy and beautiful green fence effect to homeowners, however leaving them unattended and unmaintained is not a solution! 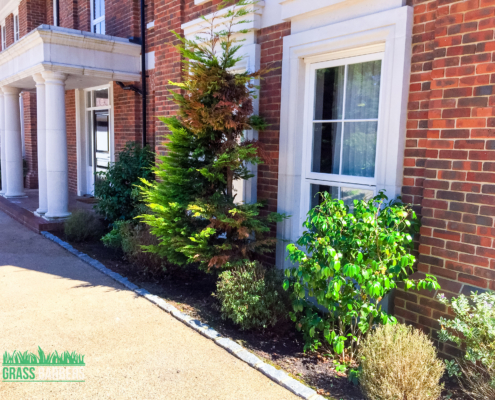 Equipped with platforms and extended telescopic pruners our team trimmed back and reduced hedges in the front garden to ensure hedge delivers all the benefits, while looks shaped and healthy. 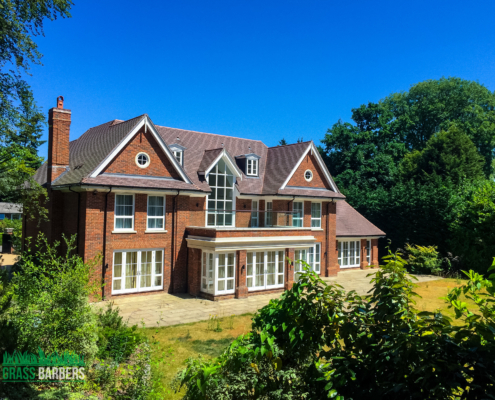 Owner of this private mansion in Oxshott was excited to see immediate changes to his garden and requested future services, also further garden improvements to be completed by Grass Barbers team.